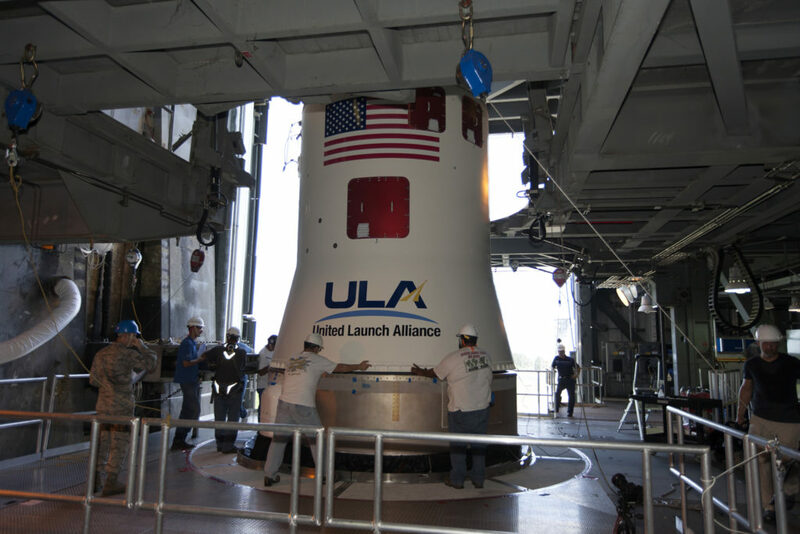 The Centaur upper stage has been installed atop its United Launch Alliance Atlas V booster inside the Vertical Integration Facility at Cape Canaveral Air Force Station’s Space Launch Complex 41. The rocket is slated to launch the Tracking and Data Relay Satellite, TDRS-M. 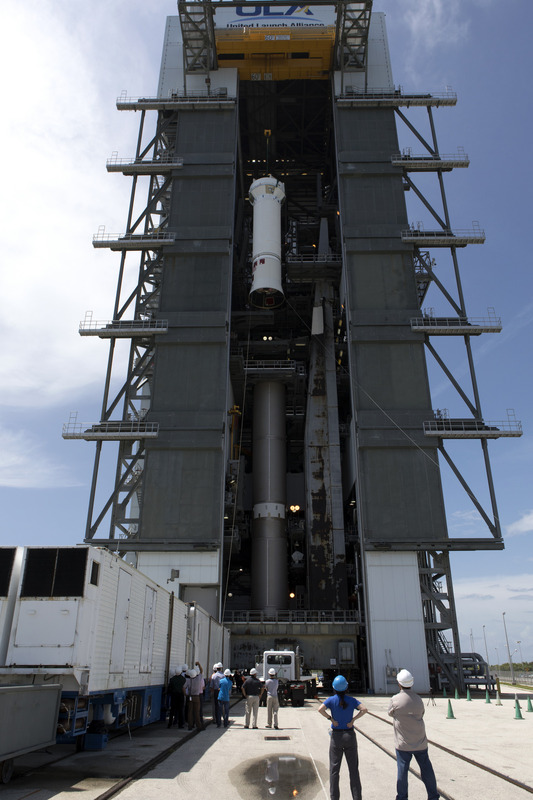 It will be the latest spacecraft destined for the agency’s constellation of communications satellites that allows nearly continuous contact with orbiting spacecraft ranging from the International Space Station and Hubble Space Telescope to the array of scientific observatories. Liftoff from Space Launch Complex 41 is scheduled for early August.